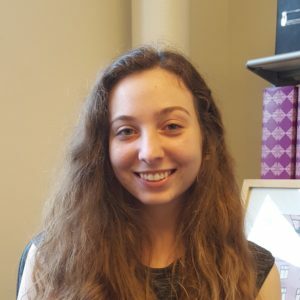 Ericka Dobrowski (she/her/hers) is an intern at IOFA in the Chicago office. She is an undergraduate student at the University of Illinois at Chicago and working to complete her Bachelor’s degree in applied psychology. Ericka is excited to be a part of this organization and will be assisting in programs, administration, as well as helping with social media outlets. In the future, Ericka would like to obtain a Master’s degree in social work and work as an advocate for adolescents at risk and other survivors of traumatic situations.